Obligatory disclaimer: This review of the Photographing Tourist comes from a copy supplied to me for free. A Book Review? Can I Eat That? I rarely do book reviews on this blog, because I’m more interested in how the final product tastes, whether that be a dinner entrée or a glass of wine, than in how the goods got on the plate. But y’all may have noticed the Travelogue section of the site? Actually, you may not have because I’ve accidentally had it disabled for a while! Oops! 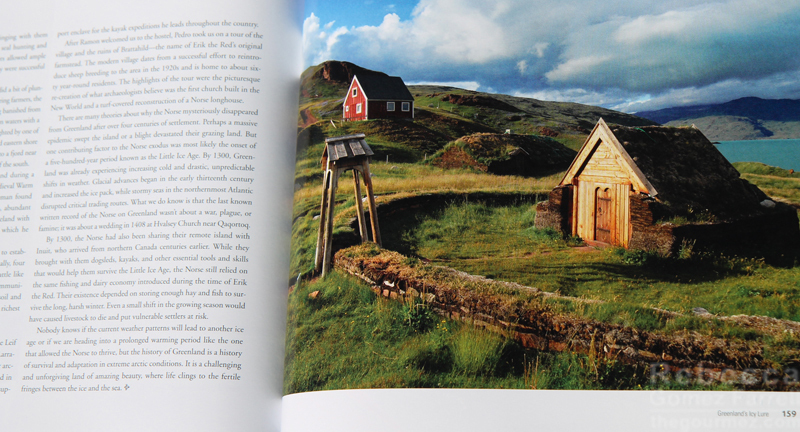 It’s back up and categorized now, and it’s full of photography- and food-heavy accounts of typical tourist activities. 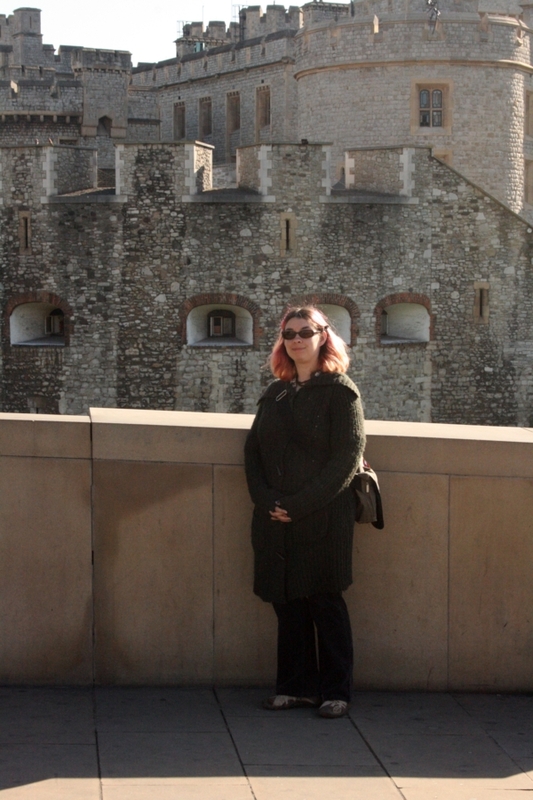 While I appreciate the current conventional wisdom that true travel involves immersion in a culture, I am also fully aware that I won’t be satisfied without a picture of myself at the Tower of London, if you know what I mean. Me….at the Tower of London, obvi. My family are go-go travelers, but the Gomezes have always gone gone sightseeing, and it’s in my blood. If I don’t visit those iconic locales or have a country’s most celebrated food, I feel I have failed myself. Which is why, when asked to review David Noyes’s the Photographing Tourist, I knew it’d be a good match for my sensibilities. What is the Photographing Tourist? There are few nonfiction books more perfectly crafted for me than this beautiful coffee table collection of photography tips, travelogues, and most of all, gorgeous images. Why? Because it’s written for the photographer whose travel is mainly limited to tour groups and the usual landmarks. In other words, me! Noyes is an accomplished photographer and travel writer, but still, most of his assignments have taken place on a tour or at least with a guide, which introduces a level of disconnect between the photographer and the experience being documented. That distance needs to be bridged for the final result—the plated dish, if you will–to be truly engaging. 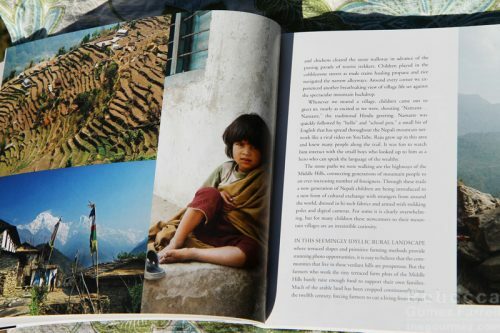 The book is full of tips on how to approach taking more genuine images, from getting permission to go ahead of the group from a guide to repeated admonitions to gain the permission of potential portrait subjects, thus moving beyond the tourist tendency to make the people we meet during travels into an attraction themselves. 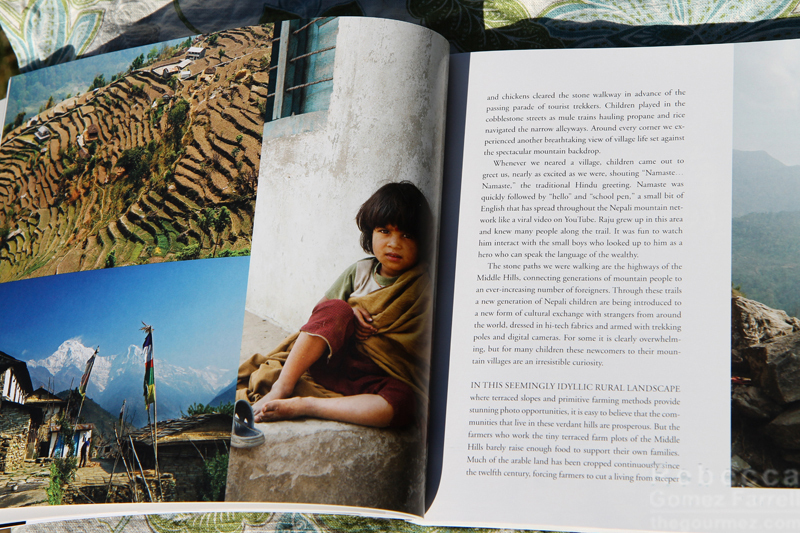 It’s that thread that spoke to me most in this book, as I am exactly the type of photographer who hates asking permission to take a picture—it’s so awkward!–so I often avoid taking pictures of people entirely when traveling. Noyes has a wonderful section on animal photography as well, but pushing us toward less interactive photography is not at all his intention. Rather, he describes several accounts of how he made connections with people whom he wanted to photograph, whether through an upfront direct dialogue or gaining the universal smile of approval from a child’s nearby guardian. He pays significant attention to the problem of, well, paying for portraits, as many sightseeing spots around the globe are swamped with people making an income by posing for tourists, which can be a difficult hurdle to jump when aiming for that perfect picture of genuine expression. At the same time, it’s important to recognize that the locals encountered at tourist destinations are simply trying to make a living, often in regions where that can be very difficult outside of dressing up in traditional clothes for a token from visitors. Even in such circumstances, seeking to make a genuine connection with another human can make the difference in that final shot. The book is also full of general photography tips, ones that demystify photography composition basics that more advanced photographers probably already know but the casual tourist may not. Despite already being familiar with concepts like the rule of thirds and the golden hours, I found the brush-up helpful. You can see how Noyes gets brilliant results throughout the pages of the book, which are littered with landscapes, portraits, and everything in between from a wealth of his travel experiences. Perhaps his greatest gift is making the vastness of his experiences feel like something the average tourist would undertake – though I’m fairly certain most of us won’t be taking a guided climb through the Himalayas, even if Noyes only went as far as the base camp. But whether or not we’re aiming for the heavens or the back tram view on Disneyland’s monorail, Noyes’s advice is helpful, engaging, and encouraging to those of us who are intimidated by the concept of making that human connection in search of bettering our end results. 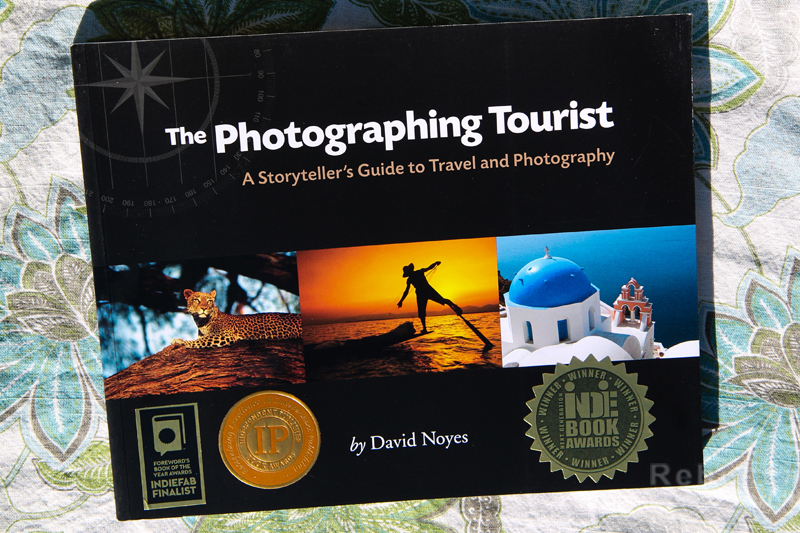 You can get the Photographing Tourist directly from Noyes’s website here. Or you can click on the Amazon link below to purchase a copy. All Amazon purchases will earn me a couple of cents – another obligatory disclaimer – but I encourage you to purchase directly from Noyes’s site because authors typically get more royalties when Amazon is left out of the picture. 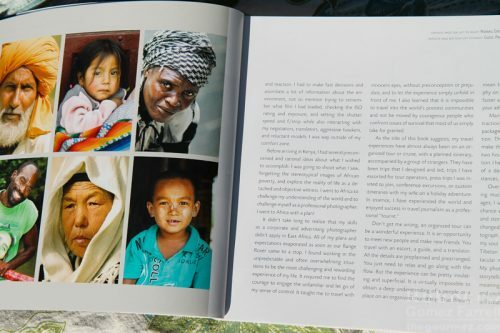 Regardless, each book sold includes a $1 contribution to the Innocent Eyes Project. In 2013, Noyes was inspired by his travels to found this nonprofit, when the reality struck home that 100 million children of primary school age worldwide are not enrolled in a school. Innocent Eyes provides micro-grants to U.S.-based organizations who work to provide more educational opportunities for children in developing nations, with priority given to projects that target girls, as two-thirds of the illiterate population worldwide is women. Now that’s worth a coffee table book purchase, don’t you think? Read and reviewed in September 2016. Great review! What a beautiful book! Thank you! It’s definitely worth it, just for the photos, but the encouragement is also excellent. Great review and the book sounds really helpful. A little extra time getting a better photo means you have nicer memories later on from our travels. Also for those of who take pictures for our blogs, it’s always helpful to improve our photography skills. Yep, just the travelogues alone are inspiring, but it’s the sort of advice that I already know I need, but the reminder is essential.